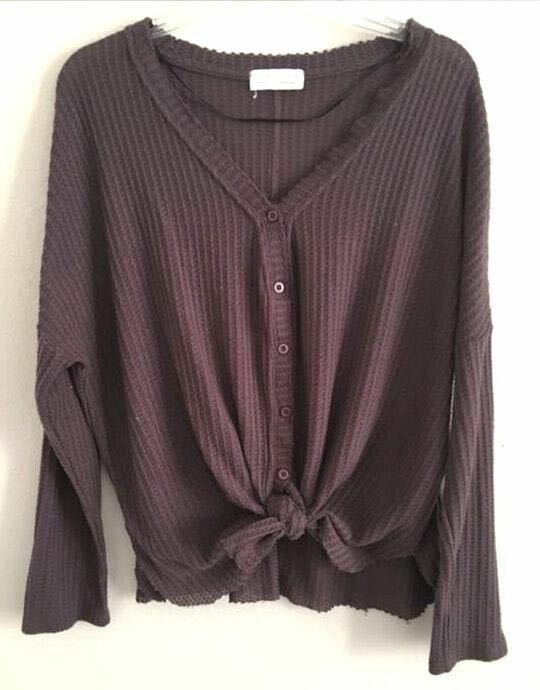 This top can be tied or left loose. It’s a purple/grey color. Very soft and comfortable. Only worn twice. Not sure of the brand because I bought it at a boutique.